Ubaldo Jimenez pitched the game of his life, at least his tenure as an Oriole, in a 4-0 Baltimore win at Toronto Thursday night. The win lifts the O’s (87-72) into a tie with the Blue Jays in the AL wild-card standings. Both teams are a game and a half up on Detroit and two and a half up on Seattle with three games to play in the 2016 season. The two AL wild-card teams will meet in a one-game playoff to determine who will advance to the league division series. Baltimore, winning two of three in the series, and five of six overall, appears to have played itself off the playoff bubble into position to be the host of that wild-card game. Jimenez (8-12, 5.44 ERA) is a key reason. He went six and two-thirds innings Thursday, giving up just one hit, striking out five and walking three. 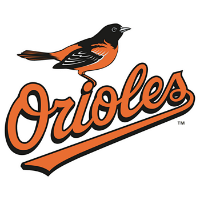 The Orioles finish the 2016 regular season with three games at the New York Yankees (83-76), who were eliminated from playoff contention despite finishing a three-game sweep of AL East champ Boston Thursday night.